If you are after the ultimate in stand-out J-card printing then our hot foil printed ones are hard to beat. 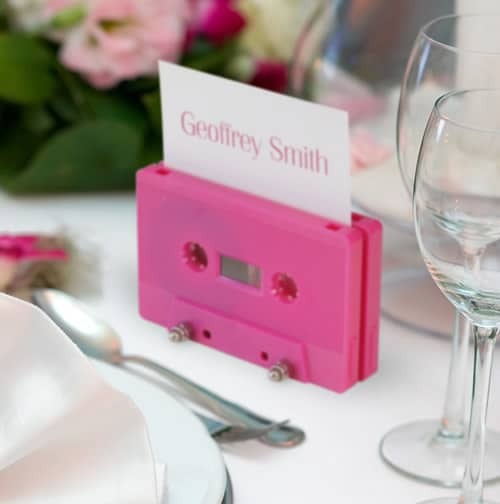 They generally just use a single colour foil print that is available in ten different colours including gold, silver, black, magenta, turquoise, blue, red, green, copper and a holographic silver. The J-cards need to be standard size without any additional panels to fit in our press and the metallic print isn’t usually combined with full colour printing due to registration (alignment) issues, however we can discuss if you really do wish to combine both, but it will cost extra. The hot foil printed J-cards can be printed on matt white, white recycled, eco natural grey, recycled black, brown Manila and clear tracing paper (clear vellum) stocks (see below for further information). 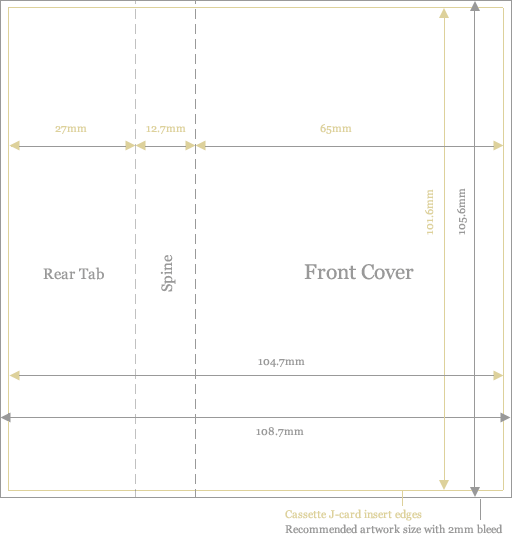 We need to make up metal printing plates for each hot foil print, which is why they are not particularly economic for short runs and make more sense for runs of 100 or more, but due to demand, we have pricing for 20 J-cards upwards. 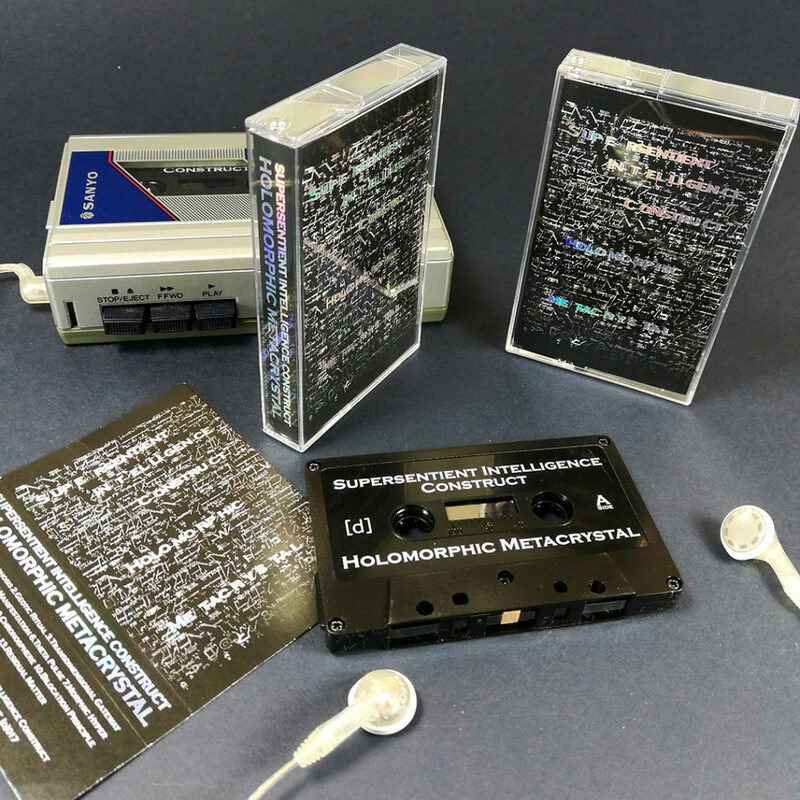 The cassette case inserts can either just be supplied on their own, or we can also provide the clear cassette cases too and insert the J-cards within the cases, ready for you to pop your cassettes in. 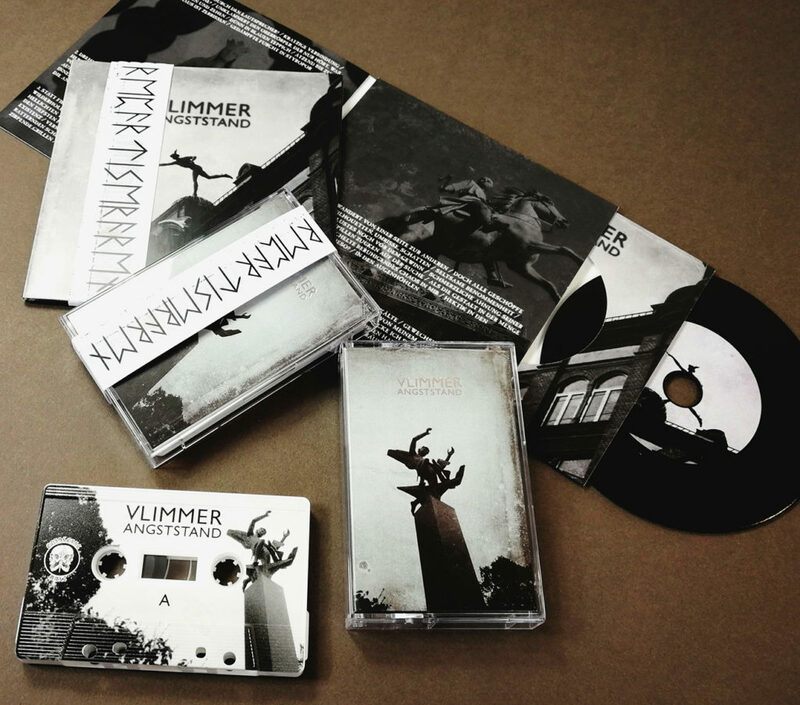 The cassette case inserts are either hot foil printed just on the outside with the inside left plain, or can be hot foil printed on the outside with a full colour printed on the inside or hot foil printed on both sides. Competitive pricing and quick turnaround times of 4-5 working days. Note: If going for these hot foil printed cards instead of standard full colour J-cards with a cassette tape order then please deduct £0.30+VAT from the cost of the tapes in cases with standard J-cards on this page to remove the cost of the standard J-cards, then add these hot foil printed J-card costs to the order. The hot foil printing works best on our smooth matt white 350gsm thick card stock, but also works pretty well on our 300gsm black card material which is black throughout and provides an interesting option as most J-card prints cannot go onto black card as they need a white base for the colours to show properly. There are four other card stocks that we can print on, which include 300gsm white 100% recycled card, 140gsm clear velum or tracing paper, 300gsm brown Manila 100% recycled card stock or a 300gsm eco-natural 100% recycled light brown/grey card. Please note though that these rougher texture recycled or vellum stocks do not provide as sharp a print due to the material texture and uneven heat pressure, so they will be a slightly rougher print, as shown in the picture, however this is sometimes the effect that customers are after. The prices for all the different cassette tape J-cards are the same. 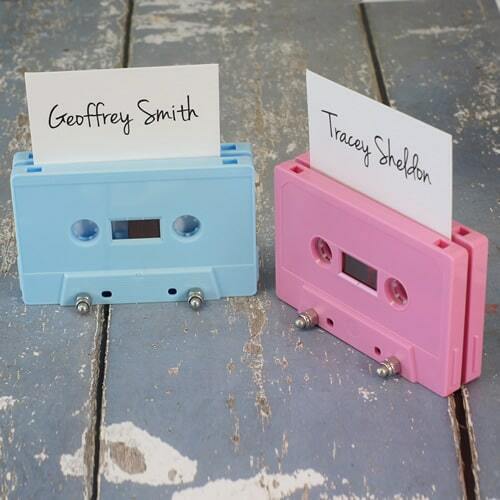 Please notify us when ordering if you would like a card colour other than matt white. 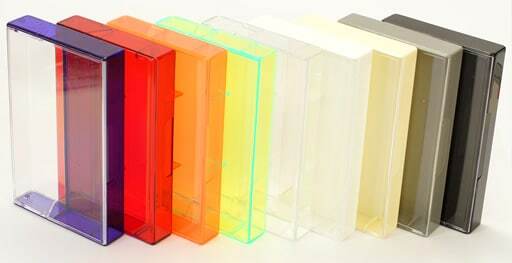 J-cards inserted into clear cassette cases with spindles/lugs: £0.30+VAT extra per case. J-cards inserted into coloured cases (black, grey, cream, white, transparent green, transparent purple, transparent orange or transparent green or clear without spindles/lugs): £0.49+VAT extra per case. Please note that the red and orange cases are the same colour throughout the front cover and rear of the case, but the others have coloured rears and clear front panels). These differ to the standard J-card artwork templates by being higher resolution (600dpi vs 300dpi) and by just being greyscale and not full colour. 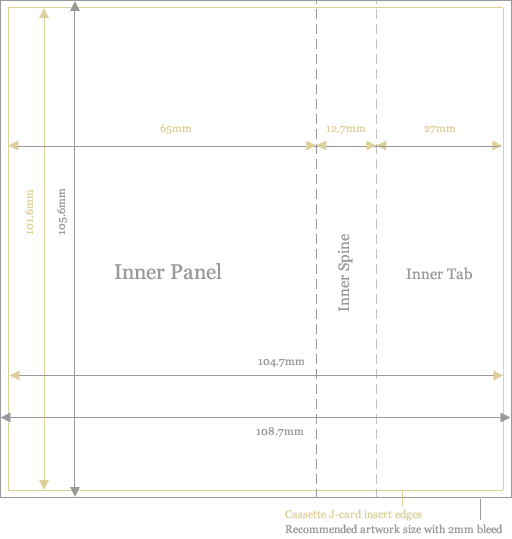 Your artwork should just be a solid black colour (you manually specify the foil colour, don’t try and colour your artwork to it) and ideally using vector graphics created in something like Illustrator, however if you wish to create bitmap images in Photoshop for example then that is fine and is why we use the higher resolution 600dpi template. The lower the coverage of the artwork, the better quality the print as more pressure is then applied in the press, we recommend no more than about 30-40% total coverage of the foil printed area. If the artwork (and contents if we are burning the discs for you) are less than 10MB then you can email them to us here. 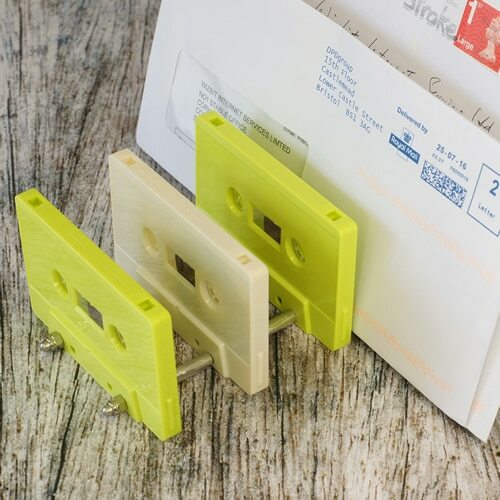 Any size of files can be uploaded to us free of charge online via our Hightail upload – please remember to provide your order details (band name, type of cassettes required, packaging type, total order quantity and delivery address) in the information field when uploading. 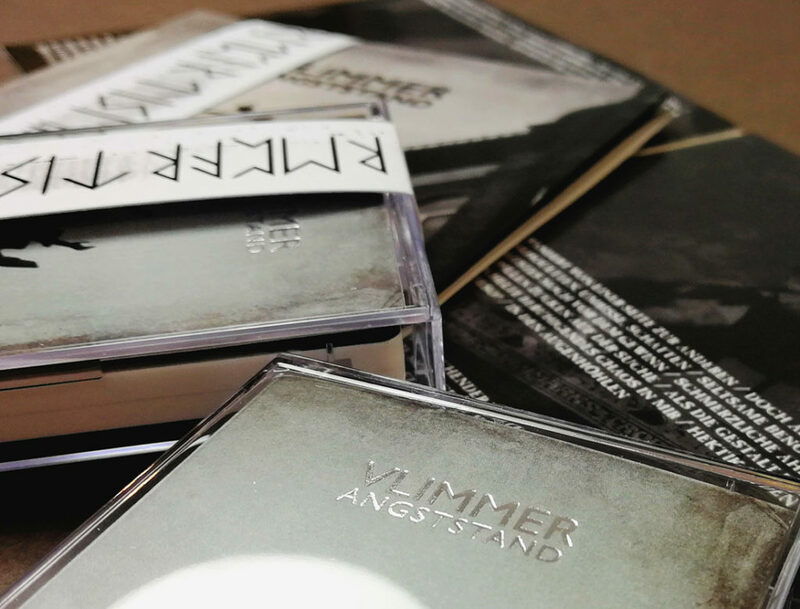 – please remember to provide your order details (band name, type of cassettes required, packaging type, total order quantity and delivery address) in the information field when uploading. Payment is required before despatch of the order. Once we have received your artwork files (and audio contents if also being recorded) and verified that they are ready for production then we will email an invoice across to you that can be paid by cheque, BACS, PayPal or credit/debit card. The card receipts and VAT receipt will then be included with your order.